The Everest 2 Burner Stove is a light weight, compact cooking stove that pushes out 20,000 BTUs of heat for those who demand better cooking flexibility while preparing their meals. 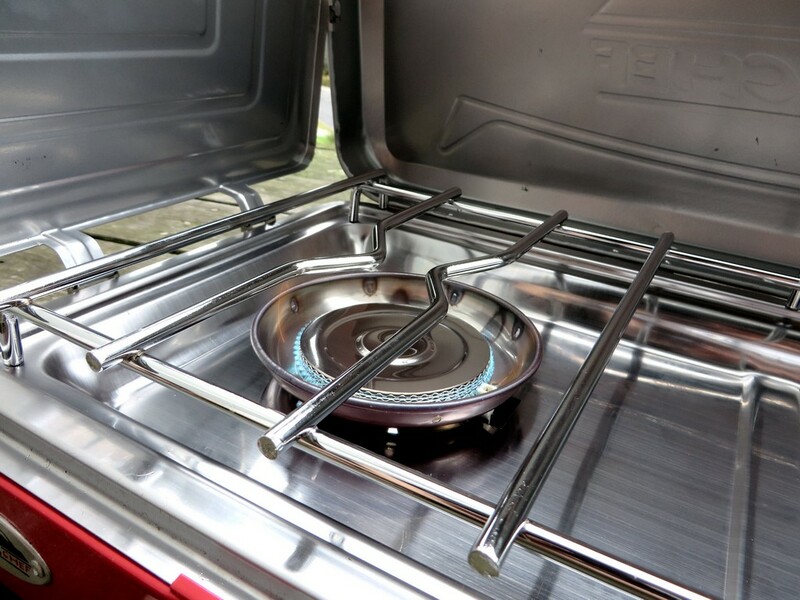 The stove has a convenient fold-up design, made from high quality steel. 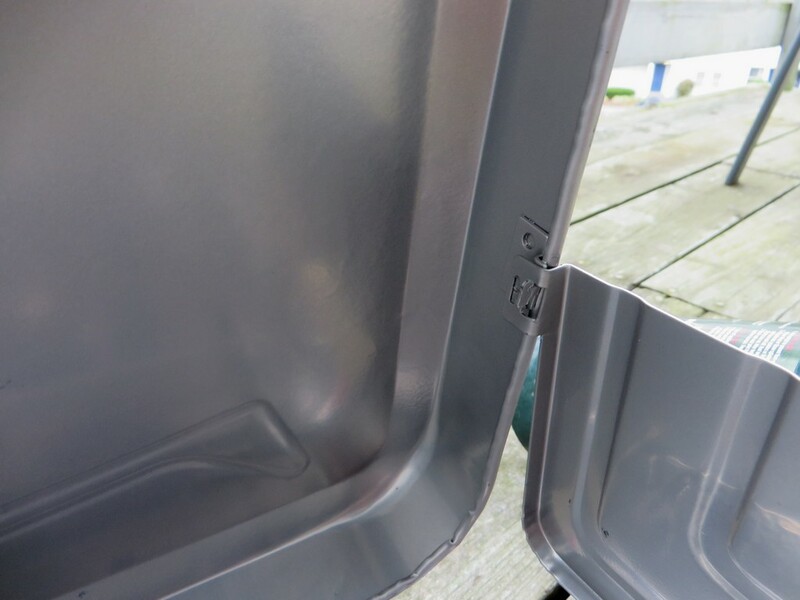 The lid opens up, revealing two fins that connect directly to the lid. This creates a large wind shield that surrounds 3 sides of the stove, enhancing efficiency in windy conditions and providing more predictable cooking while also ensuring the burners aren’t blown out. The two burners are high heat burners, but they also have the ability to be dialed down low to low simmer. The cooking grate is thick nickel plated steel, which resists corrosion. Two built in igniters allow the stove to light without dealing with additional tools, and two dials allow for fine tuning of the temperature by regulating the amount of fuel released from the canister. A small clip secures the lid in place, while a nice carry handle that’s cut into the bottom of the stove makes for easy transportation. The stove weighs 12 lbs, and retails for $121. The stove is built very well. The body is built from rigid high quality steel. It doesn’t give and flex while in use, holding its shape and bestowing confidence in its ability to support heavy pots and take a beating. The cooking grates are even better. Made from strong nickel plated steel, they’re designed to last while being tortured under the stresses of high temperature flame and weight. The knobs both feel sturdy, and the starter has a satisfying click to it when depressed. The hinges are all well made, and have held up well while being drug around and stored. It’s a sturdy build that’s designed to last a long time, in rough conditions. Portability is great. The built in handle is embedded directly into the grill, which means it’s not going to snap off when carried. 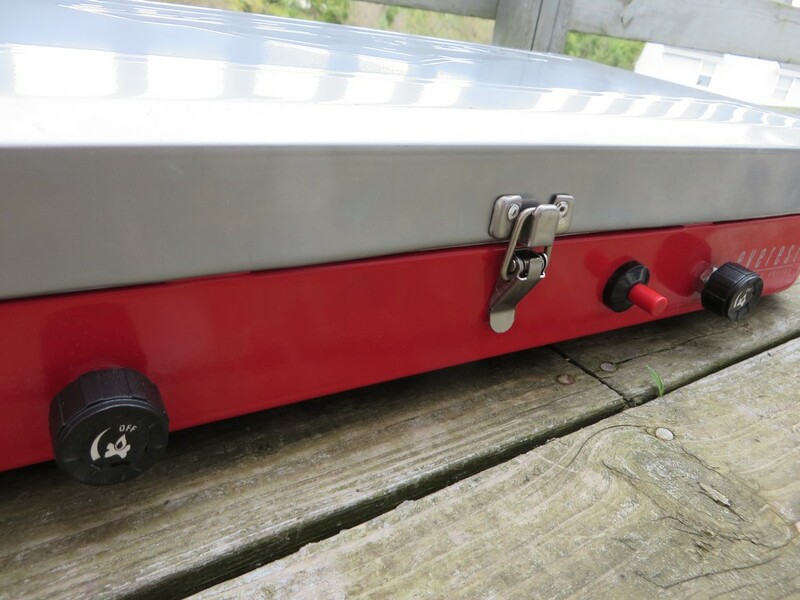 The stove folds up flat, and takes up minimal space when stored (13.5″ x 23.5″ x 4″). 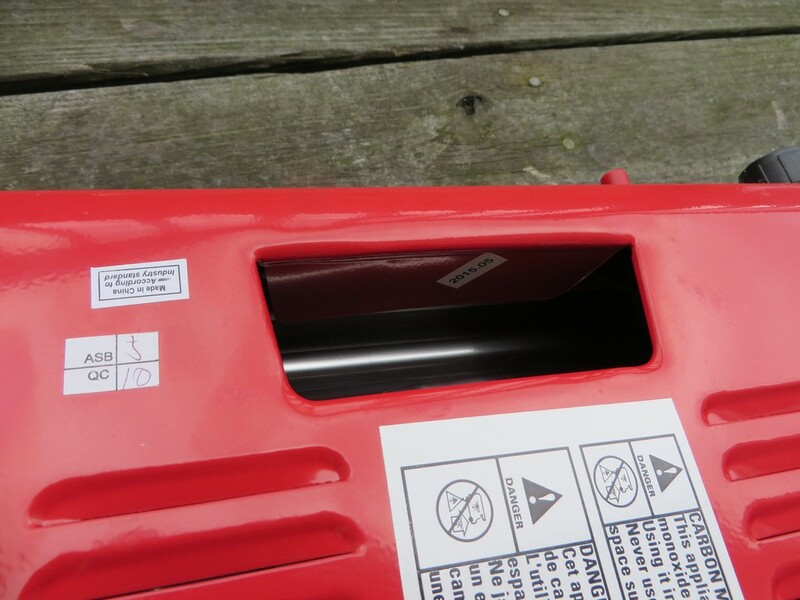 Unpacking the stove is as easy as releasing the clip and sliding the wind fins into the hooks on the lid. Once in place, it doesn’t move a bit, locking soundly together and providing a cooking haven away from the wind. The stove fits standard 1 lb propane cylinders, which are light weight and easy to carry along when on the move. Cooking is also stellar. The stove puts off plenty of heat, more than I can ever see myself needing, but also cools down to a gentle simmer. This means you can do everything from meats to pancakes, and everything in between. The burners produce even predictable flames that allow for stable cooking without having hot or cold spots on the pan or pots. Having two burners allows for cooking multiple items at once, or you can just use one at a time for smaller meals. It works well with aluminum (at low heat) and cast iron pots also. Not only is the stove great for camping, it’s also an excellent use for emergency preparedness. Just having a way to cook food or boil water when the power is out (winter is sneaking up) cannot be understated. Priced at $121, it’s a great value, especially for the build quality and the wide range of uses it can have. Inserting the wind flaps is a little bit of a pain, but very doable and becomes easier as you use it. There is no mechanical clip system, instead relying on the user slightly flexing the wings to lock them inside by sliding a fin into a notch. On the upside, they do not slip out when they’re locked in. 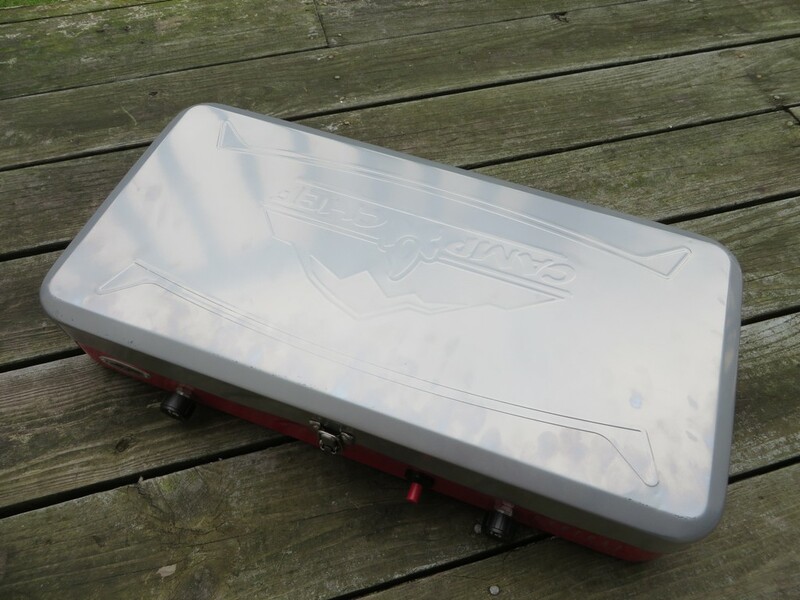 I did manage to rub off some of the silver paint on the lid pretty easily with standard use and hauling it around. The red paint seems far more durable. It’s not compatible with some of Camp Chef’s fancier accessories, like grilling grates or ovens. Although their cast iron ribbed skillets do a good job of sufficing for most meats. I really like what Camp Chef is doing with the Everest Two Burner Stove. It’s handy to have around, both in camp and at home, and it provides a smooth, consistent heat that can be used for practically anything. Aluminum and cast iron pots both work great, and it folds up to hide away when it’s not in use. With such an excellent price and overall quality, it’s a fantastic option for campers or preppers. 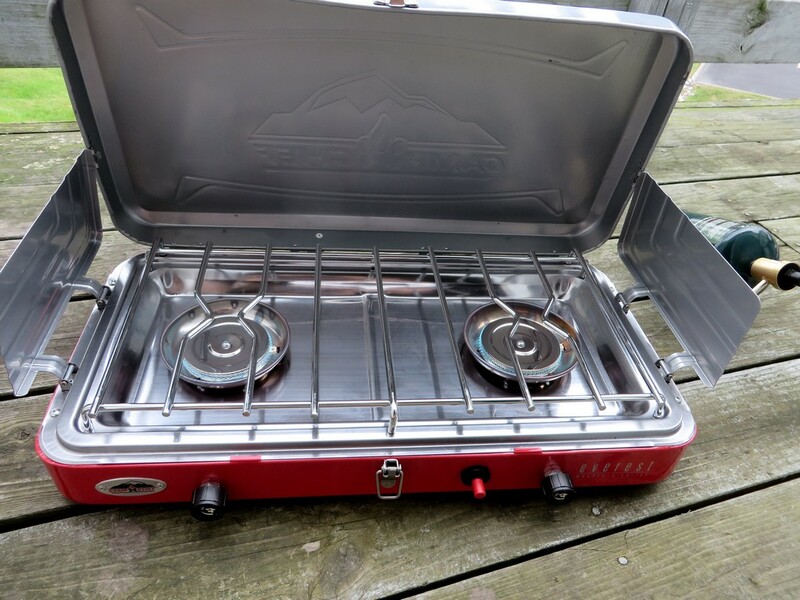 I want to extend a big thanks to Camp Cheffor providing us this great stove for review. We certainly appreciate the support. Our full disclosure can be found here. Thanks for reading! If you have any questions, comment below, send us an email, or find us on Twitter or Facebook (links on the right and below). Thanks for much for the review!! I have been thinking about getting one of these. I’ve been using this for a long time now, and the more I use it the more I like it. It’s a solid choice.